How digital winner Glossier rose to cult status by using social media and digital content creation to establish a beauty community platform. The beauty industry has been traditionally dominated by a cohort of centuries-old cosmetic powerhouses such as L’Oreal, Estee Lauder, and Revlon. Former Vogue alum, and now CEO, Emily Weiss turned her beauty blog Into the Gloss into a two-way conversation between her and her beauty readers. On her website, Weiss sells a curated line of 26 skin-care products developed for millennial women. In order to capture changing consumer behaviour Weiss implemented a direct-to-consumer strategy favouring social media and influencer relationships over traditional marketing. On her website, the beauty insider asks her readers to weigh in on every aspect of her skin-care and makeup company and provides a forum for them to exchange recommendations and communicate with other beauty fans. Unlike her fellow CEOs Weiss is also a member of the consumer community, which she has leveraged through the use of inbound marketing, digital content creation, and social media and in that way formed a unique competitive advantage. Based on the real time feedback and reviews of her customers she developed a beauty line, Glossier, which launched in October to an experienced and active audience of 1.5 million followers. 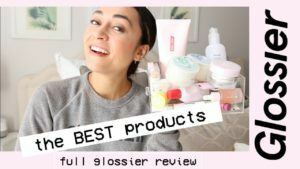 Between 2015 and 2016, Glossier grew by 600% year over year and released a a highly curated line of products, including the Milky Jelly face wash, which instantly became cult phenomena. 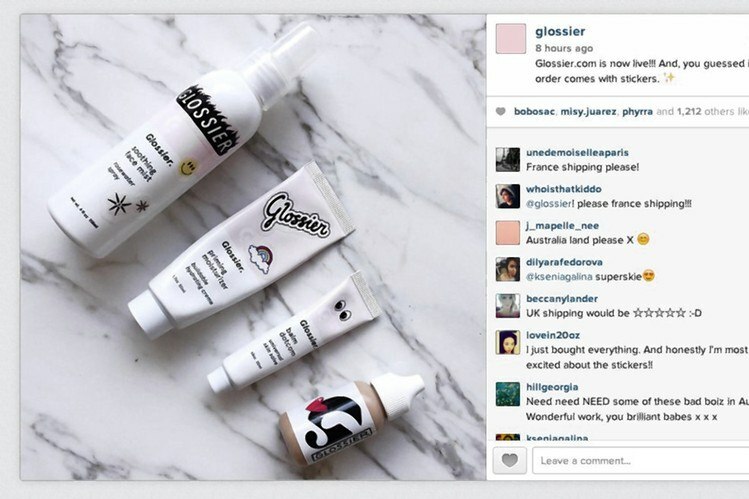 Glossier is one of the first make up brands, which established itself out of social media. Emily Weiss continues to use her Into the Gloss website and the brand’s Instagram account to receive real life feedback on what customers really want from specific products. Instead of developing a finished product and than branding it on market, Weiss launched her brand on Instagram before products were finalized with the aim of soliciting feedback by publishing pictures during the product development process and encouraging followers to share their opinions through comments and likes. Through the Instagram platform Weiss has direct access to the millennial target market as 90% of Instagram users are under 35 years old. Her followers provide free market research, vital to a young start up with limited cash reserves. As an experienced beauty influencer she launched her products to an existing following of 1.5 million fans. This was vital for the generation of feedback and activity on her website and Instagram and ensured publicity of the @Glossier tag. 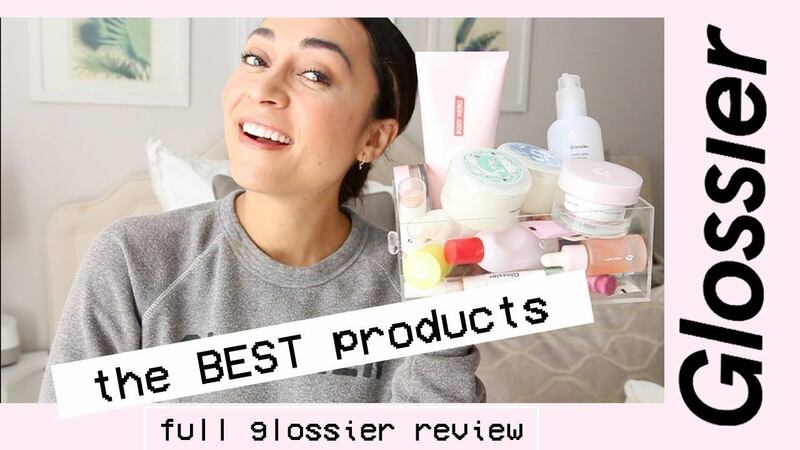 Another way the brand has established a unique bond with their customers and strengthened its credibility is, unlike other beauty brands, Glossier has always featured other brands both on their Instagram and website, emphasizing its role as an advisor to its consumers rather than just a product. “Where most beauty companies have tried to ignore the fact that women are in an open relationship with beauty brands,” Weiss says, “we have embraced that.” Lastly, Glossier established trust and gave customers a sense of ownership by letting them shape and inform the product. It also generates curiosity and excitement before product launches, which leads to higher customer loyalty. 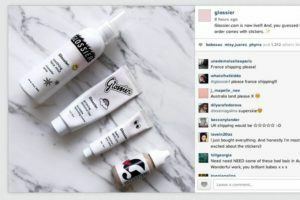 After developing the product and launching its line digitally, content creation on Instagram remains Glossier’s main advertising and source of communication with its consumers. Especially the brand’s modern, minimalist packaging is designed to double as an Instagram backdrop and to look good in photographs. “We think of things from a content perspective: How would this show up in a user-generated photo?” Weiss says. She encouraged customers to publish pictures of themselves with Glossier products while using the @Glossier handle and including the hashtag #glossier. Glossier went viral as a digital winner by incorporating social media and content creation and rose to instant cult status. Instead of imposing her marketing strategy’s on her users, Weiss lets her customers dictate how much they want to be involved in the development and marketing process. This generates an authentic interaction between the brand and its consumers and creates value for customers by providing product advise and engagement in the process. 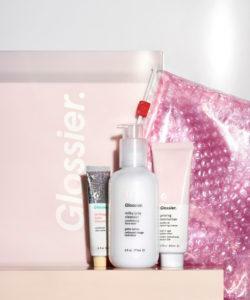 Glossier can capture value in form of real-time feedback and consumer stickiness beyond the sale of cosmetic products. By creating a digital platform Glossier manifests a space for its community to interact with the brand and each other. As a user of Glossier products, I very much enjoyed this post. However, I’m bearish on the ability of Glossier to sustain its momentum. While the company clearly understands Instagram, I’m concerned that this capability isn’t unique to just Glossier (see Fenty Beauty, Kylie Cosmetics, etc). 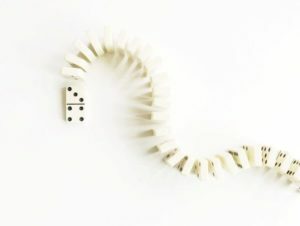 Moreover, is user-generated product development scalable as the company grows? What can Glossier do to maintain its community feel and culture?